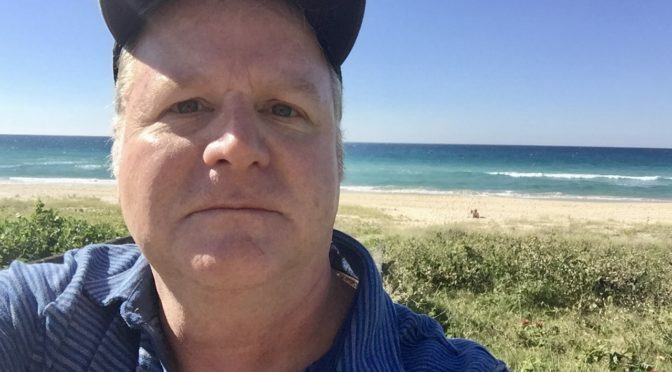 Editor’s note: With this blog post, we introduce to you Michael Scully, a journalism professor and friend of Chris Mele’s who will be sending dispatches from his newly adopted home country of Australia. Michael will chronicle what it’s like adjusting to things there: the driving, the sites, the culture, and periodically sending us updates about making such a big transition at middle age. BRISBANE, Australia — At 53, I just beat the odds. Immigrating to any country can be difficult but moving from the United States to Australia is downright difficult because they have standards: They want young people and professionals and the government has shrinking quotas. To live and work here permanently, you must be 45 years old or younger and they actually have a something called the Continued, which itemizes the professionals the region is seeking to immigrate. A quick survey of the SOL will show they are seeking doctors, engineers and blue-collar experts as well as hair dressers, pastry chefs and beekeepers… but not, as in my case, journalism professors. However, I did have a trump card: I was lucky enough to marry an Australian citizen and my promise to her in 2011 was that we’d ultimately find our way back from New England to Brisbane and we began planning. We submitted a lot of paperwork including letters of recommendation and we hired a lawyer to process it all. You’d think this would be easier, right? After all, I married an Australian! Didn’t they want her back? Once we submitted the paperwork, it took the Australian government 11 months to approve my visa. For the record, his name is Malcolm Turnbull. All that aside, my wife and I finally got what we wanted and began making provisions for immigration. On July 6th, we arrived in Australia and are in the process of making the transition toward ordinary life. We are acquiring bank accounts and credit cards, driver’s licenses, an automobile… and so forth. We are both surprised by how many little things that we took for granted have become necessary and somewhat difficult to acquire. For example, the coinage here is as strange as it is in the United States. Why are the $2 coins smaller than the $1 coins? What are these 12-sided silver coins? And their paper money is the colors of the rainbow! So, here’s the deal: My friends in the United States have asked me to write about the transition and to make some casual observations about the differences between life in the States and life here in Oz! Let me start simply: The picture above is a selfie I took on the Gold Coast in Queensland. I’m looking east toward the Pacific Ocean. It’s winter here and it’s 80 degrees out.